This is an updated version of a post that originally appeared on the Woo Fighters website in 2010. 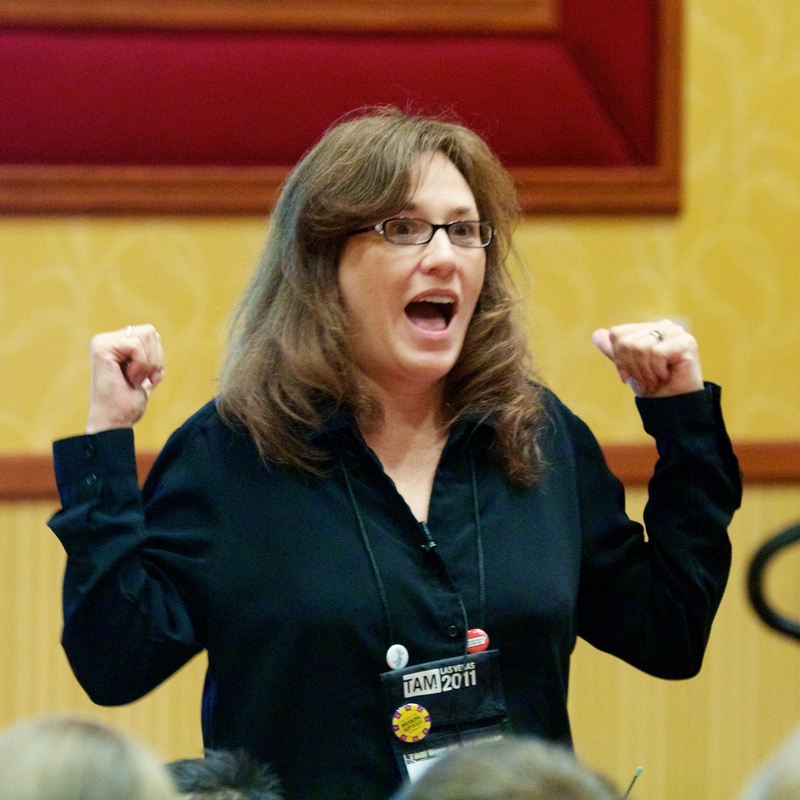 I was very clearly excited to be talking about skepticism in education in 2011 at TAM9. I brought three students that year and one of my former students (Dylan Keenberg) spoke as part of the Sunday Paper session. When people ask “When did you become a skeptic?”, I have to answer that I have always been one. I never blindly accepted claims and I always looked for evidence. I held my beliefs tentatively. Where I went wrong was in the assumption that the “default” conclusion should be to consider a claim true unless the evidence refutes it. I thought that a lack of evidence meant that I could not draw a conclusion. I was naive and ignorant. In early October, we had a guest speaker. She was a psychic. She gave several cold readings, including one of me. She said that she saw me sitting at a piano. Now, I didn’t play piano at the time, but I had wanted to learn since I got my first organ (they were very popular in the 60s and 70s) at the age of four. My parents hinted that we might finally have space for piano (they gave me an electronic keyboard that year). I was convinced that she was tapping into some unseen energy. She read several other people and we were all suitably amazed. He showed us how he did a few of the tricks. He explained the method of cold readings. We discussed the way the psychic the week prior may have accomplished what she did. At one point, I looked down at the books sitting on my desk and noticed that I had doodled all over one the paper covers – a piano keyboard. I also carried a key ring with a note-shaped fob. I don’t know if either was visible when she was there, but it was not inconceivable. Together, we produced an explanation just about everything that we’d been amazed by the week before. Bay Area Skeptics had been founded in June and operated, at that time, as a local chapter of The Committee for the Scientific Investigation of Claims of the Paranormal (CSICOP), now known as the Committee for Skeptical Inquiry (CSI). Bay Area Skeptics offered a $1,000 reward to anyone who could demonstrate supernatural powers. Although this group and challenge was new, James Randi had been offering a reward (which by that time was $10,000) since 1964. The fact that nobody had claimed this money after nearly two decades told me everything I needed to know. The money was there. All they had to do was show their powers. It was not until well into college that I fully understood that the appropriate “default” conclusion was the null, but what happened on that fall day in 1982 was a foundation for that concept. It also taught me that what we do not see can be just as important as what we see. Although I remained an ardent skeptic, over the years my participation in skepticism as a movement varied. At times I diligently maintained memberships in various organizations. I tried Mensa for a while, but was very disappointed to discover that their special interest groups for nonsense like astrology outnumbered the groups with a rational focus by about 5 to 1. Most other groups were either religious or game-focused. At times I paid little attention to issues of skeptical activism. Eventually, I kind of forgot about that day in psychology class. Then while studying psychology as an undergrad and grad student many years later I had a mentor/professor whose office was filled with old Skeptical Inquirer magazines. Dr. Donald Butler’s courses in research methods and statistics were built around skeptical concepts. He reminded me that skepticism is the best lens through which to view the world. In April of 2000, I attended the annual convention of the Western Psychological Association in Portland, Oregon. It was my first academic conference after returning to school in 1997. I found that it was not all that different from other types of conventions and conferences, but the talks were so much more interesting. I was thrilled to see Michael Shermer and Ray Hyman on the schedule and attended both of their talks. Shermer described the findings of his survey on religion (something I found particularly interesting since I had responded to that survey myself) and discussed his book How We Believe. Hyman’s talk was titled Science and Pseudoscience. As Dr. Hyman wowed the crowd with rope tricks and mind reading, all of the memories of that day in high school came flooding back, but I could not recall the skeptic’s name. Dr. Shermer and Dr. Hyman speculated that it was Bob Steiner, and James Randi offered the same guess later in an email. However, the internet eventually provided enough clues and I now know that it was Terence Sandbek, a clinical psychologist and professor at American River College.